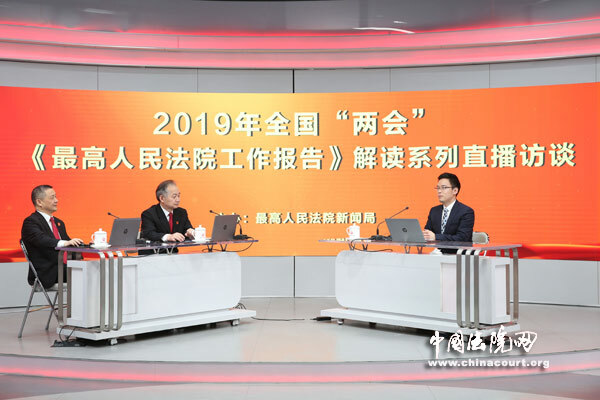 Hu Shihao, director of SPC's Judicial Reform Office, gave a briefing on courts' efforts in deepening judicial structural reform to let the people gain more judicial benefits during an interview. According to Hu, judiciary authorities are the organs to guarantee the implementation and enforcement of laws. Laws of litigation, judges and organizations play a role in a country's judicial system. Deepening reform of judiciary structure and mechanism and improving judges' capacity promote an efficient operation of the system. Hu said that according to the work report delivered by Chief Justice Zhou Qiang the main work on judicial reform covers four aspects -- advancing reform of mechanism and regulation related to judicial system, supporting national strategies, serving the people and promoting judicial fairness and openness. In 2018, more than 200 moves were advanced and 24 experiment projects were conducted for judicial reform. A series of measures on deepening courts' judicial reform related to judiciary structure and a document to fully implement judicial accountability were released to optimize the institutional framework of judicial reform. More moves to push forward judicial reform have also been promoted, Hu explained. For instance, the SPC established the International Commercial Court for the Belt and Road Initiative and the Intellectual Property Court and financial courts, internet courts, maritime courts and bankruptcy courts have also been launched in many regions including Beijing, Shanghai, Guangzhou, Nanjing, Shenzhen and Xiongan New Area, a development offering judicial guarantees for economic development. Reform of the file registration system is a reflection of serving the people. On the basis of the system, online filing and self filing were promoted and the split-flow model was adopted, which improved trial efficiency. In addition, services including cross-regional case filing and online mediation platform construction also make it easier for people to obtain judicial help. Hu mentioned that to date, more than 55 percent of courts in China have opened an online filing system and over 1,300 courts offer a cross-region filing service. Courts at all levels also made efforts in promoting judicial openness and fairness. For example, optimizing ways for witnesses and appraisers to testify, strengthening legal aid and advancing alternative dispute resolution in overseas-related affairs. A document of opinions on strengthening judicial openness was also issued to improve related online platforms. Hu said 63.82 million judgment documents were posted online, with over 22.6 billion hits. In addition, more than 2.59 million trials were live streamed, gaining over 14 billion hits. 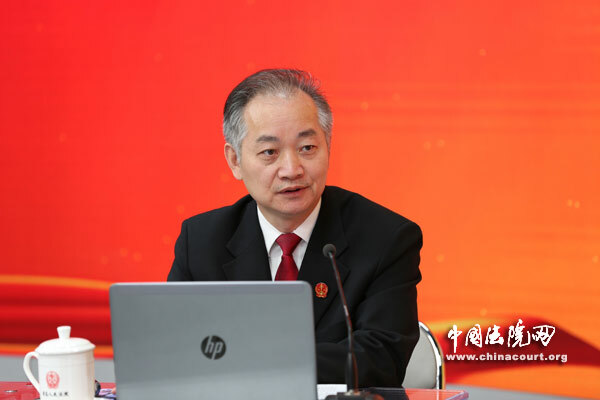 Hu also pointed out the relation between judicial reform and informatization. "The integration of judicial reform and informatization makes it easier for the people to get judicial assistance and improves trial efficiency. The process of trials is also more transparent." Currently, case filing, judicial consultations, mediation and judicial sales can all be processed via online platforms.Cloud technology, artificial intelligence and block chain techniques have been adopted to improve online judicial systems, Hu added.